Nothing like an epic Boston Marathon to bring me out of my blogging hiatus. (Sorry, life has been a bit busy lately!) While I would have loved to have been in Boston cheering in person on Monday, the flight prices were just a bit too much. Still, I had so much fun watching the live-stream online and following along on twitter – while getting lots of work done of course! I was really pulling for Shalene, and while it’s a shame she couldn’t get the win, she had one heck of a race. You can’t ask for anything better than a personal best. The guts and determination she showed were just awesome. I hope she wins it someday. Jeptoo is just unstoppable right now though! That was an unreal display of endurance and speed. When Meb, one of my favorites, first started pulling ahead I tried not to get too excited. I thought, “could this really happen? !” His lead kept getting bigger though. I sat there praying he could hold on and was so unbelievably excited when he crossed the line – the first American male to win the Boston Marathon in my lifetime! 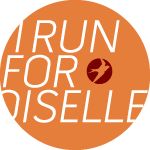 It was also so much fun to see all the Oiselle birds flying to the finish and running Boston – so many PRs and great races! Hope everyone that ran and cheered had a great day! My plan is to get the blog back on track. I have a couple race recaps I still need to get to and some trail running fun. Posts will probably still be sporadic though as I navigate a busy summer filled with lots of travel plans, prep for my work’s big annual conference, multiple weddings and wedding planning of my own! And, of course, lots of running!